While Vans Warped Tour announced its final cross-country run in 2018, the festival will be returning to three select cities this year for shows in honor of its 25th anniversary. This morning, the lineup was announce for The Rock & Roll Hall of Fame show in Cleveland on June 8 as well as the two-day events in Mountain View, California on July 20 and 21 and Atlantic City, New Jersey on June 29 and 30. 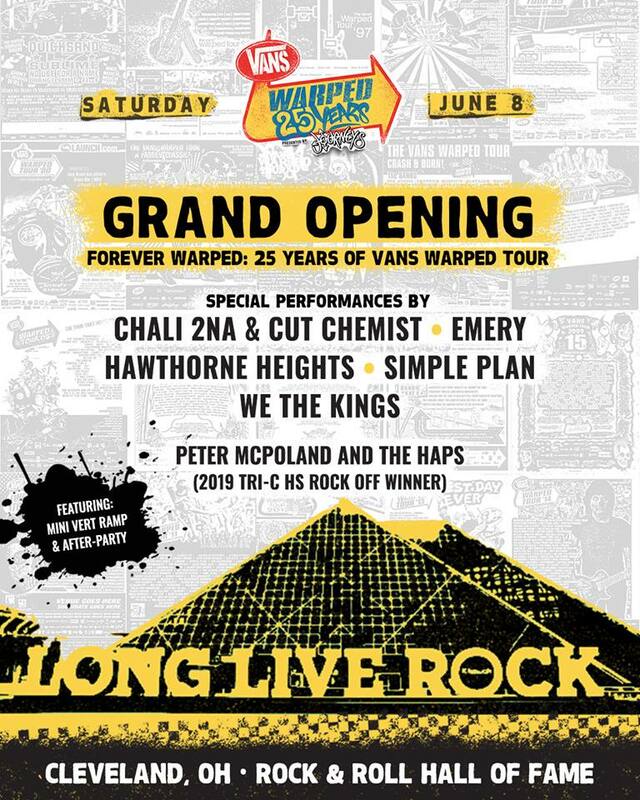 The Cleveland show will include performances from We The Kings, Simple Plan, and Hawthorne Heights, as well as Chali 2NA & Cut Chemist and Emery. The day will begin with a special opening concert featuring performances from bands across the tour’s 24-year history. Fans will also have the ability to see artifacts from Warped bands and items from the first tour in 1995. New Jersey’s two-day shows will feature Warped punk-rock veterans A Day To Remember, who just announced a tour in support of potential new music. Rock icons like Anti-Flag, Good Charlotte, Less Than Jake, The Offspring, Reel Big Fish, Taking Back Sunday, We The Kings, and Simple Plan will also take the stage, along with favorites like Dirty Heads and Gym Class Heroes. The All-American Rejects – who haven’t released a record since 2012’s Kids In The Street – will return to the music scene to headline California’s show. 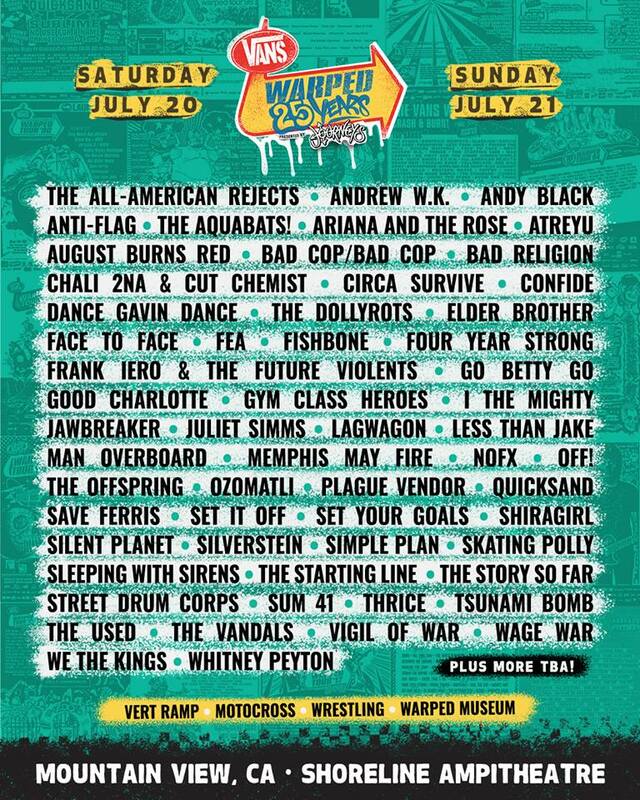 Anti-Flag, August Burns Red, Four Year Strong, Good Charlotte, Sleeping With Sirens, and The Story So Far are also among the performers of the weekend, as well as The Used, We The Kings, and Dance Gavin Dance. Two-day tickets went on sale last week, and the festival explained they will release single day tickets if they don’t completely sell out. Visit Ticket Club to find tickets to the anniversary shows and check out our review of the 2018 festival when it stopped in Hartford, Connecticut here.